Are you looking for a lightweight children's bike so you can teach your child how to learn to ride a bike without stabilisers? 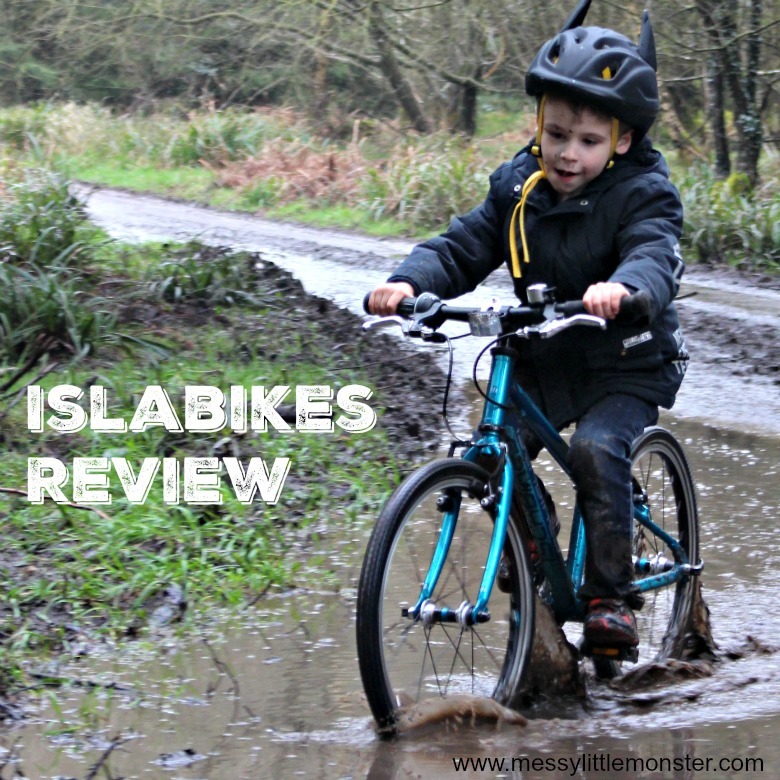 Read our Islabikes Beinn 20 review to see why we think this well proportioned children's bike is a great bike to learn to ride without stabilisers. Harry went from needing stabilisers on his old bike to riding without them on his new Islabike within a few minutes! 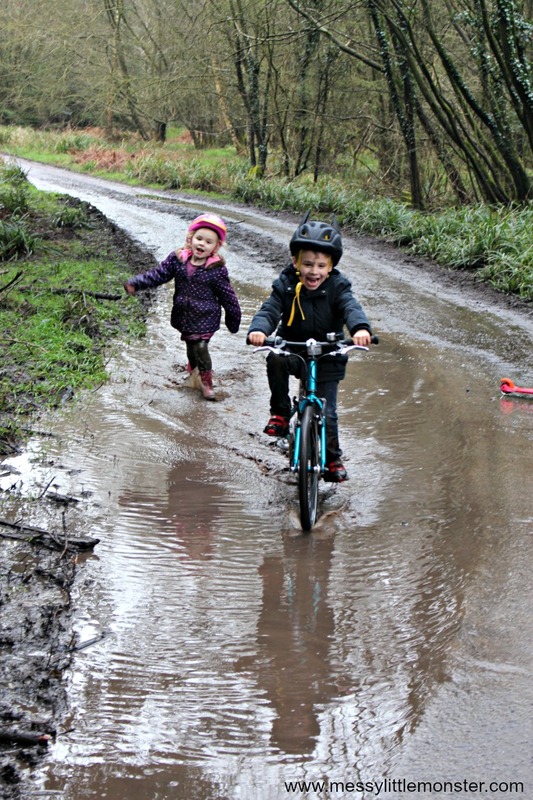 Islabikes mission is to give children a better cycling experience and in my experience they definitely do! Their lightweight children's bikes are so easy to ride. Here is our experience of the Islabike Beinn 20. 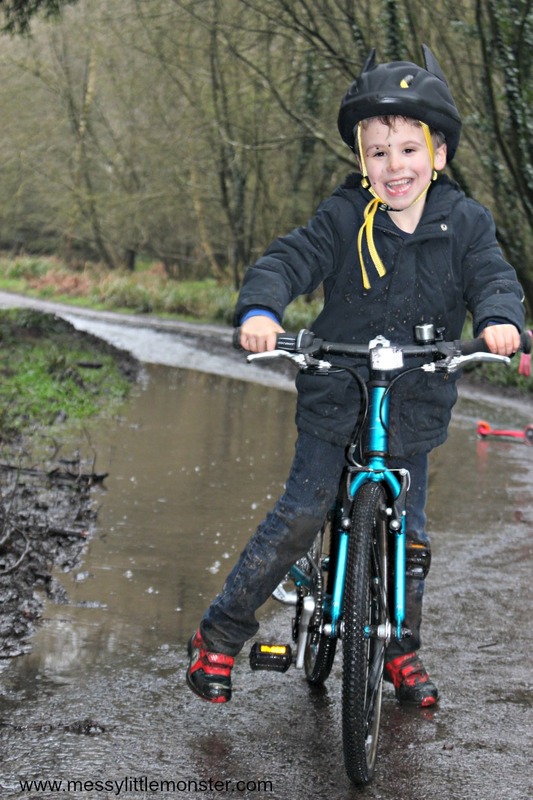 Harry (aged 6) loves his new bike, finds it easy to ride and learnt to ride without stabilizers very quickly. Harry is 6 and has been riding a bike for a while, but with stabilizers! We wanted to wait until he was ready before giving him a new bike without stabilizers as we wanted to make sure that he had the co-ordination to ride so that it was an enjoyable experience rather than a stressful one! Harry learnt to ride his new bike without stabilizers really quickly! I'm not sure if it was because we waited until he was ready or because the islabikes are really easy to ride, it's most likely a combination of the two! When you purchase an Islabike you can be sure of a good fit. 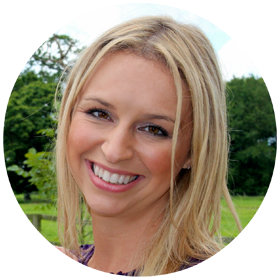 There is a chart on the Islabike website that you can use to measure your child's height and inside leg measurement to make sure that you buy the correct sized bike. 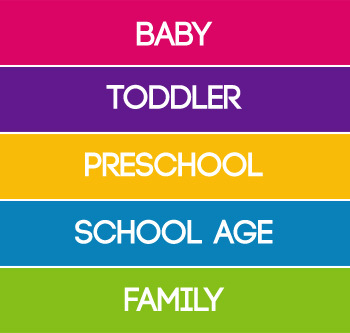 Buying the correctly sized bike means your child can learn to ride quickly, easily and safely. We were very careful to make sure that we got the correct size for Harry to help increase his confidence and so that he could start riding straight away. I have been told by friends that have purchased Islabikes for their children that they are really good for teaching children to ride, but I didn't realise how good they were until we got one ourselves. Islabike bikes are lightweight, proportionally designed and they feature high quality components. The aluminium frame that is used on the Islabikes makes them lightweight and easy to ride. The saddles on the Islabikes are slightly lower to the ground than those on other bikes which means that children learning to ride can feel secure because they can reach the ground, but they are also able to peddle efficiently. The handlebars, breaks and gears are perfectly proportioned and easy for small hands to use. Whilst the Islabikes come in a few different colour options the bikes are not marketed as girls or boys bikes. There is no difference in body proportions of young girls and boys which means that there is no need to produce separate bike models for girls and boys. The Islabike Beinn 20 looks impressive and Harry is really proud of his new bike. 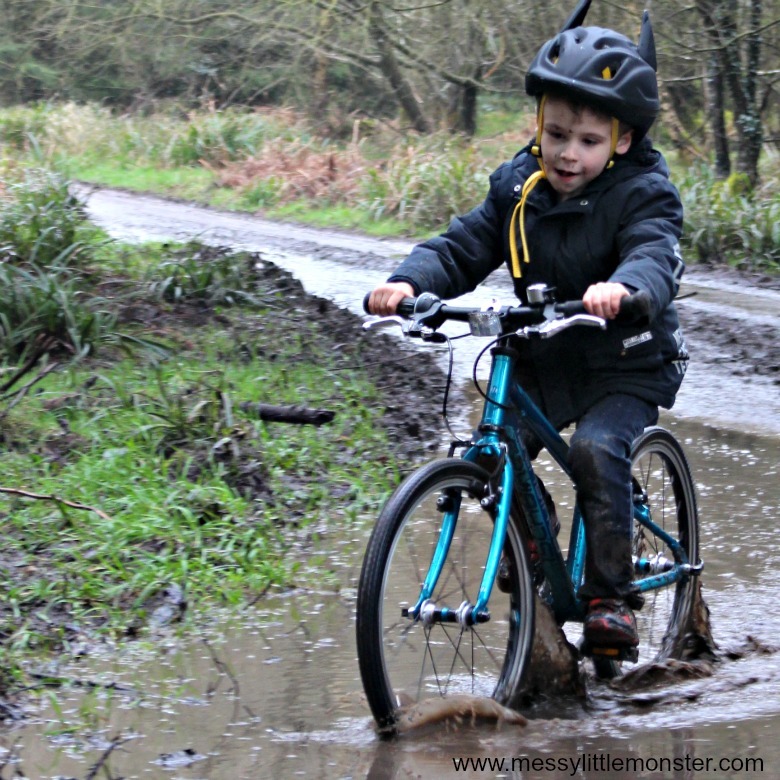 He rides it everywhere, to school each day, through the park and on adventures through the woods and puddles. 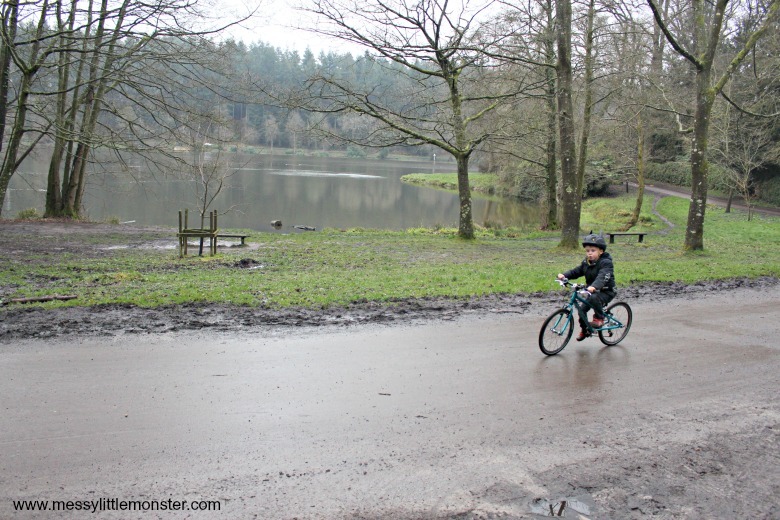 Learning to ride a bike without stabilisers? We were prepared for it to take ages for Harry to get the hang of riding a bike without stabilisers. We actually set aside a week during the school holidays to teach him. He never really took to his balance bike and he was quite reliant on the stabilisers on his old pedal bike. Whilst he was delighted to be given his new Islabike, which definitely looks impressive, he did panic a bit when he saw there were no stabilisers, but there was no need! We had read up on what we needed to do to teach Harry to ride a bike without stabilisers. We had planned to start by holding him (not the bike) whilst he peddled and we ran behind him ready to grab him if necessary. We were going to teach him how to place his feet on the pedals to push off, but as it happened we didn't need to do any of that! We took the bike into the park, turned around and he just rode past us! 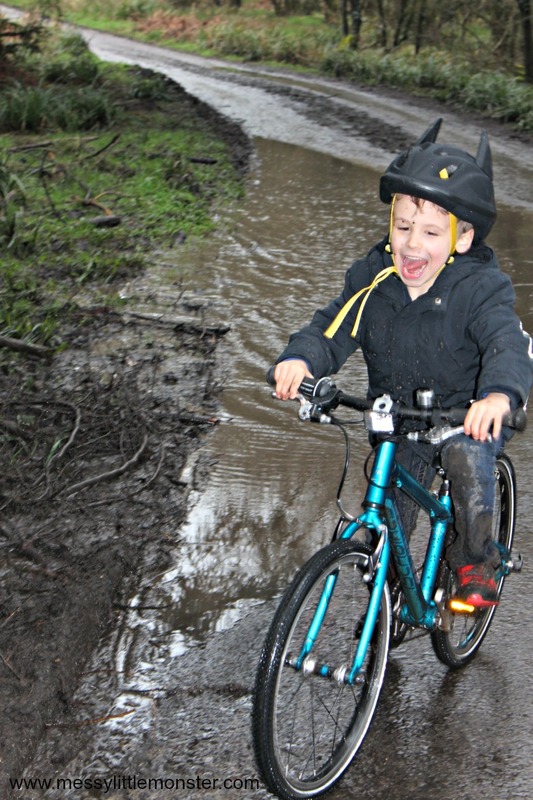 It just goes to show that if you wait until your child is ready and you have the right bike it really isn't that hard. Learning to ride a bike independently is such a massive moment! Harry was so pleased with himself and we were really proud of him. After that initial ride he was off. Within a few minutes he was riding up and down the path in the park and after a quick demonstration on how to use the breaks he decided to brave the hill. 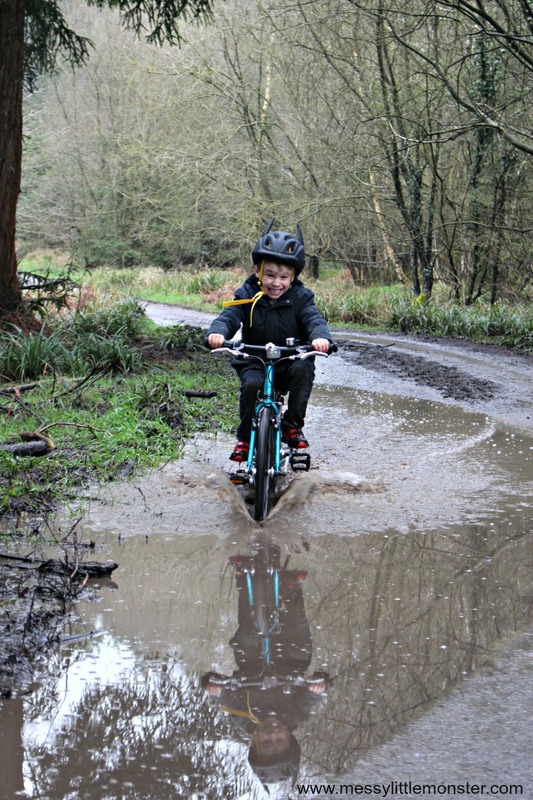 By day 2 he was riding through huge puddles in the woods and experimenting with the gears. He totally loves his Islabike and he rides it to school and back every day. The Islabike Beinn 20 is great for riding off road. The day after Harry learnt to ride his bike we took him to the woods and he was off! 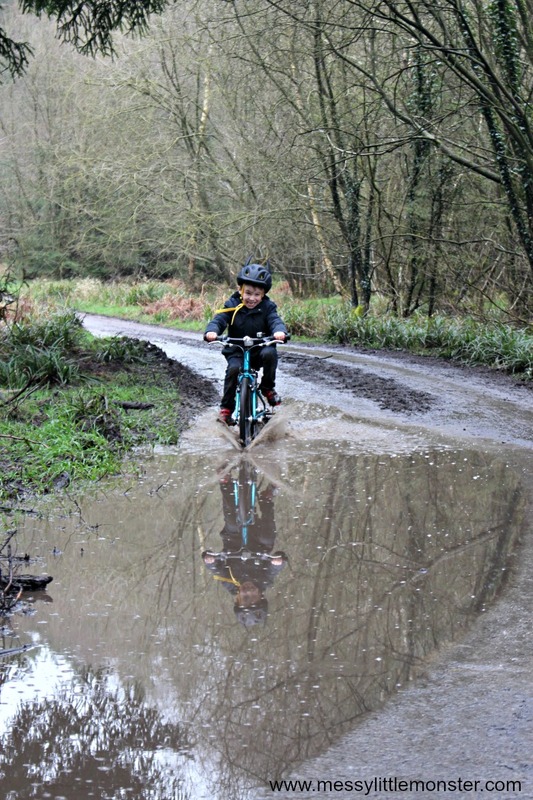 He had the best time riding through puddles and soaking himself and his sister Daisy, (who is very jealous of Harry's new bike!). Here are a few photographs of them having fun. Harry's mud splattered face says it all! 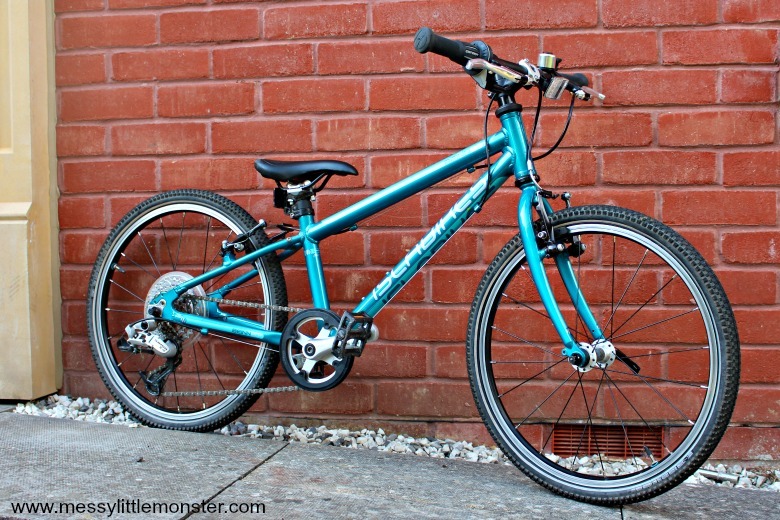 What do we think of the Islabike Beinn 20? Well in short we love it! 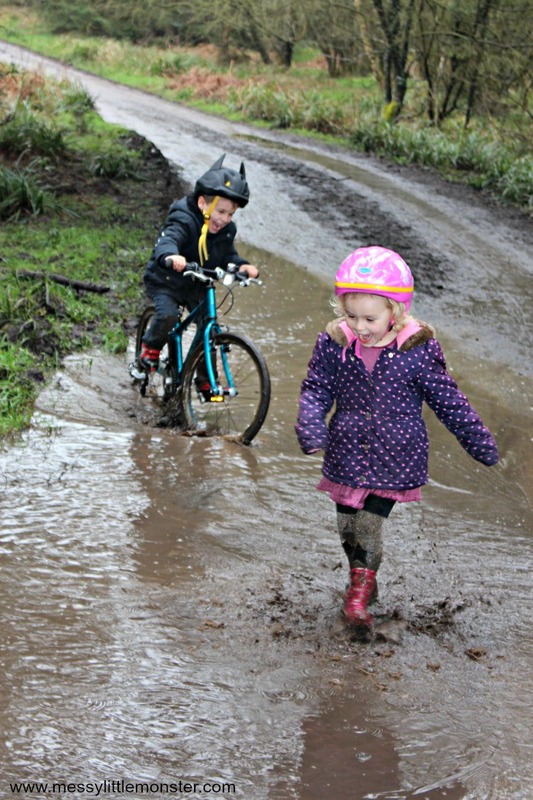 Islabikes Beinn 20 is a great bike for children to learn to ride on without stabilizers and it is perfect for an off road bike ride. The bike looks stylish and is perfectly proportioned. Would we recommend buying an Islabike Beinn? Definitely! Here is a short video of Harry learning to ride without stabilizers on his new Islabike. 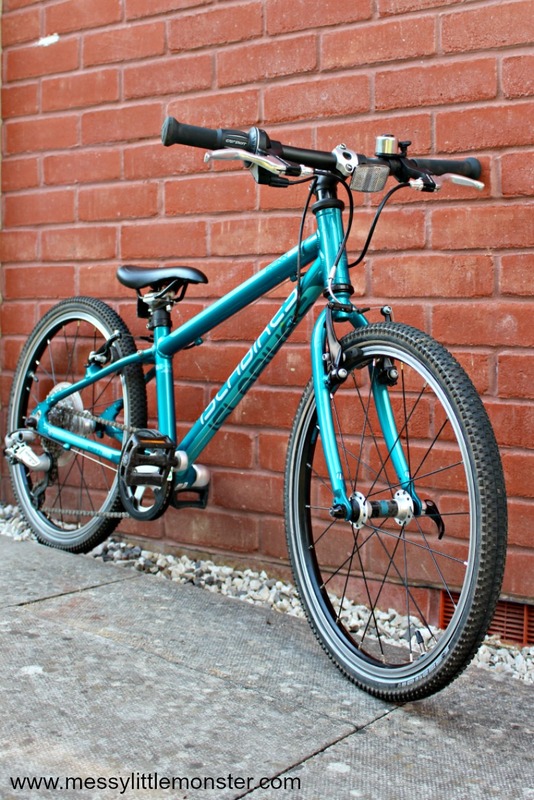 Disclosure: Thank you Islabike for sending us the Beinn 20 for the purpose of this review. All thoughts and opinions are our own, Harry loves his new bike!